From the slopes of Mt. Kilimanjaro, to the grassy lion-filled plains of the Serengeti, to the Maasai people of the North region, Tanzania is home to not just a few, but countless natural and cultural phenomena. We sat down with Holbrook’s in-country operations director Lucas Mhina to get some insights on the beautiful country he calls home. 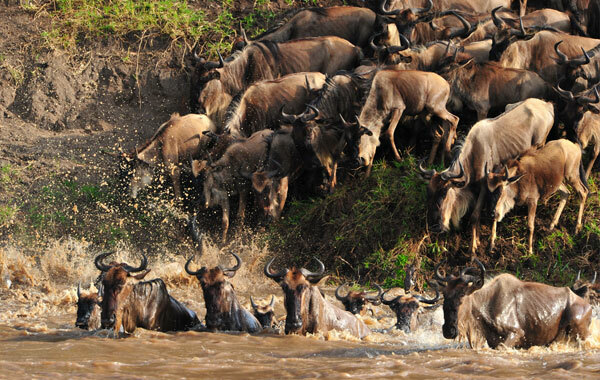 The Great Migration is arguably Tanzania’s biggest draw, and with good reason. The “longest and largest land migration in the world,” states Lucas, it is truly one of nature’s most outstanding marvels. The actual migration is about a year-long cyclical process where more than two million animals travel 500 miles from southern Serengeti to the Masai Mara Reserve in Kenya. The migration features about 1.5 million wildebeest, 750,000 zebra and 200,000 antelope that are usually joined for some of the journey by lions, cheetahs, leopards, hyenas and other carnivores. “People often inquire when is the best time to go and see the Migration, and I answer it depends on which part you want to see,” says Lucas. It is not a singular event, but an ongoing journey, and each part of the journey contains different events; for example calving season in February and the river crossing in July. 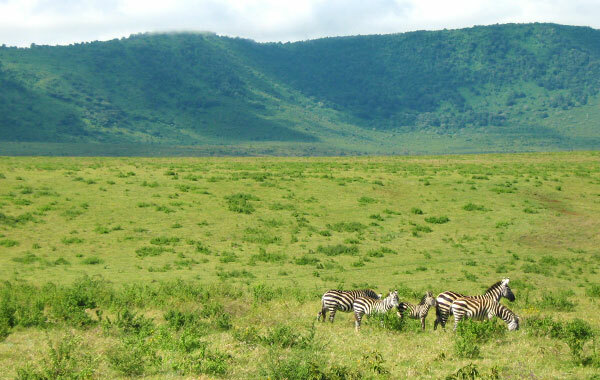 Home to over 25,000 large animals, such as wildebeest, zebras, hyenas and over 26 endangered black rhinoceros, the Ngorongoro Crater is the world’s largest intact volcanic caldera. The crater reaches 2,000 feet deep at its lowest point, stretches 12.5 miles wide and is the result of a volcanic explosion and subsequent collapse that took place some 3 million years ago. Game viewing and birding are both popular activities here. Year-round residents of the Ngorongoro Crater include black rhinoceros, black-maned lion, “the continent’s densest population of spotted hyena” notes Lucas, and occasionally even elephants. Both the highlands and the crater provide excellent birding, with 500-plus species, both endemic and migratory. Known worldwide as the “Cradle of Civilization,” Olduvai Gorge (actually pronounced Oldu-pai according to Lucas) is the site where Louis and Mary Leakey unearthed a 1.8-million-year-old fossil hominid skull of an Australopithecus boisei. The site also contains sediments interspersed with layers of lava that date back over 2 million years, chronicles the evolutionary history of stone-tool-using ancestors, houses fossils of vertebrate fauna, and shows evidence of changing environments over the past 2 million years. 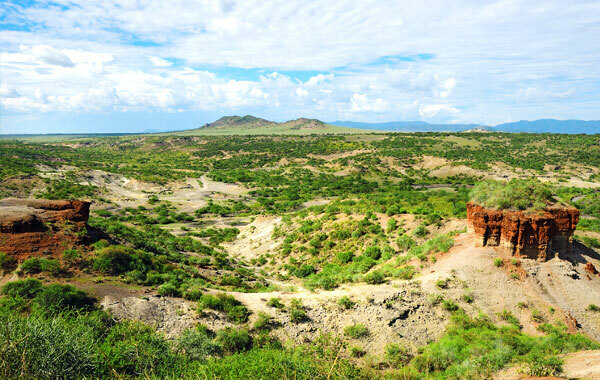 All encapsulated in a museum that pays homage to this historic site, says Lucas, Olduvai Gorge is also conveniently located en route between Ngorongoro Crater and the Serengeti, perfect for a few hours' stop en route to the next location. “Tanzania ranks among the most ethnically diverse countries in the world with more than 120 tribes and about 1 million Maasai living in Kenya and Tanzania combined,” explains Lucas. Despite an ever-advancing society, the Maasai have held to their traditional way of life, residing along the game parks of Tanzania and Kenya, living a semi-nomadic lifestyle, and holding fast to their customs centered on song and dance. 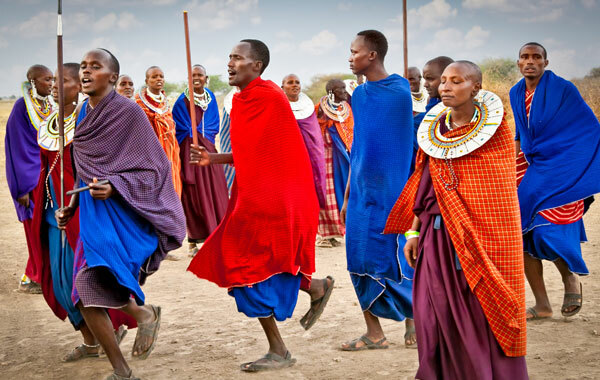 As a result, the Maasai have become a symbol of Tanzanian culture. Spending time visiting one of these villages puts culture in context and provides an experience that can add richness and dimension to your trip. A look at the gems of Tanzania would be incomplete without calling attention to Tanzania’s abundant avifauna. Often overshadowed by the larger mammals that dominate the country’s landscape, the country is in fact a hidden haven for bird lovers. With over 1,000 recorded species (21 endemic to Tanzania)—the second largest bird checklist in Africa—Tanzania is certainly not lacking in regards to biodiversity. A few favorite hotspots include the Lake Manyara National Park, Ngorongoro Crater, and Serengeti National Park. 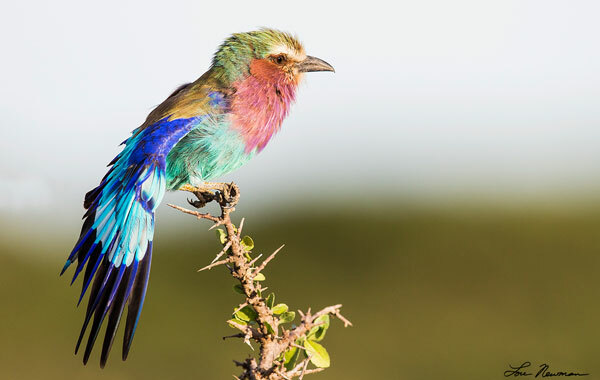 Lake Manyara National Park is home to 400-plus species, such as the Silvery-cheeked Hornbill, Northern Carmine Bee-eater, and Yellow-billed Kite. Ngorongoro Crater is also a beloved birding spot. Known for its cranes, Secretarybirds and Ostriches, there’s potential to spot most of Africa’s largest birds in a single trip. Finally, Serengeti National Park boasts impressive numbers of bird species, topping off at just over 500, with “must-see’s” such as Grey-breasted Spurfowl, Lilac-breasted Roller, and Red-billed Teal.